Educational Dialogues provides a clear, accessible and well-illustrated case for the importance of dialogue and its significance for learning and teaching. 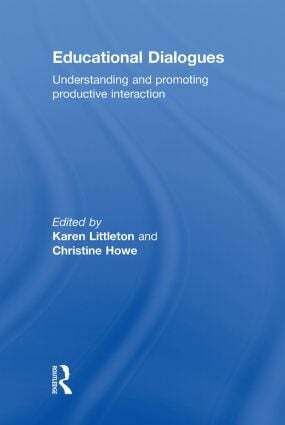 The contributors characterise the nature of productive dialogues, to specify the conditions and pedagogic contexts within which such dialogues can most effectively be resourced and promoted. implications for pedagogic design and classroom practice. Bringing together contributions from a wide range of internationally renowned researchers, this book will form essential reading for all those concerned with the use of dialogue in educational contexts. Karen Littleton is Professor of Psychology in Education at the University of Jyväskylä, Finland. Christine Howe is Professor of Education at the University of Cambridge, UK.